The Scriptures make it clear that sin directly causes exile and that repentance—that is, returning to the Torah—is what brings about redemption. Christians often speak about Jesus being the “redeemer.” Jews also believe in a biblical concept called “redemption,” and that the Messiah’s job is to be a “redeemer”—but it means something very different in a Jewish context. Redemption means “buying back” or “re-acquiring” something that was lost. In the Bible, it applies in several different contexts, including re-purchasing land that was sold to pay a debt (Leviticus 25:24-34) and freeing people who have become slaves (Leviticus 25:47-55). The people of Israel live in their land in peace and prosperity. Then, tragedy and destruction occur, and the people of Israel are taken elsewhere and scattered. Finally, the people of Israel are restored to their land and regain sovereignty. Jewish teachings refer to Israel’s destruction and removal from the land as “exile.” The Hebrew word for this is galut (גָּלוּת). Returning and restoration is called “redemption,” which is ge’ullah (גְּאֻלָּה) in Hebrew. 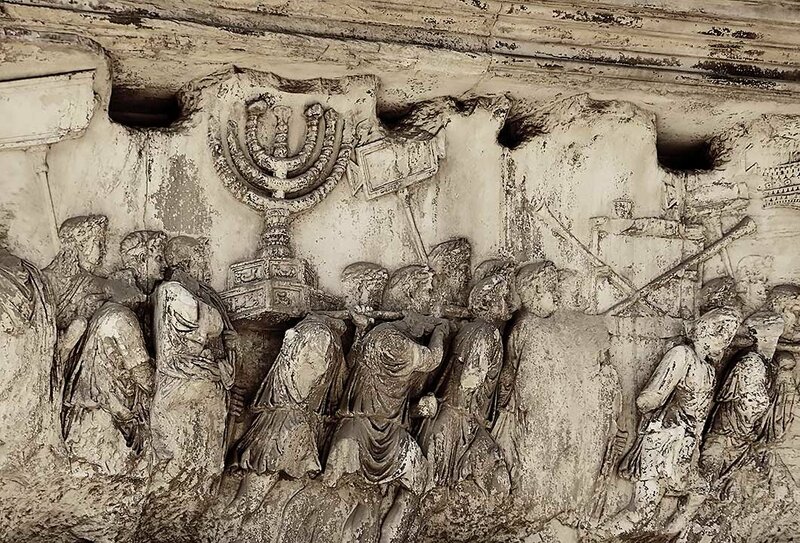 One generation after Yeshua’s earthly ministry, history repeated itself when Titus, a Roman military commander, besieged Jerusalem and destroyed the Temple. The Jewish sages looked once again to the prophecies that foretold the permanent restoration of Israel. Even though the Jewish people collectively are at the center of this process, it does not mean that exile and redemption affect them only. When a light bulb is screwed into its socket, light fills the entire room. When Israel takes its proper place and functions as it should, the entire world benefits because Israel is called the “light for the nations” (Isaiah 42:6, 49:6). It is only when Israel experiences redemption that the “circuit” of the revelation of God is completed. Through their role as the “kingdom of priests and a holy nation” (Exodus 19:6) everyone is exposed to the light and blessing of God. Thus, when Israel is in exile, the entire world, in some sense, is in exile. Likewise, the redemption of Israel means the redemption of the entire world. The Scriptures make it clear that sin directly causes exile and that repentance—that is, returning to the Torah—is what brings about redemption. During Yeshua’s earthly ministry, he was well aware that exile was about to come and that the Romans would destroy Jerusalem. He also knew which sins were most at fault. Today, the world is still experiencing the exile that began almost two thousand years ago. Yeshua’s teachings hold the keys that will bring that exile to an end. This has important implications for followers of Yeshua, both for those who are Jewish and those who are not. If we wish to hasten the Messiah’s coming (2 Peter 3:12), we have work to do. Exile and redemption may be national processes, but repentance begins with individuals. Furthermore, we all must support the Jewish people and help them to fulfill their important role as the light to the nations. Adapted from: Messiah Magazine #2, First Fruits of Zion, 2013, written by Aaron Eby. Christian theology of Israel has changed more in the past hundred years than at any other time in the past eighteen hundred. The rise of dispensationalism, the establishment of the State of Israel, and the renewal of Jewish-Christian dialogue in the post-Holocaust era have all informed a modern movement of Christians who are supportive of the Jewish people and the Jewish state. 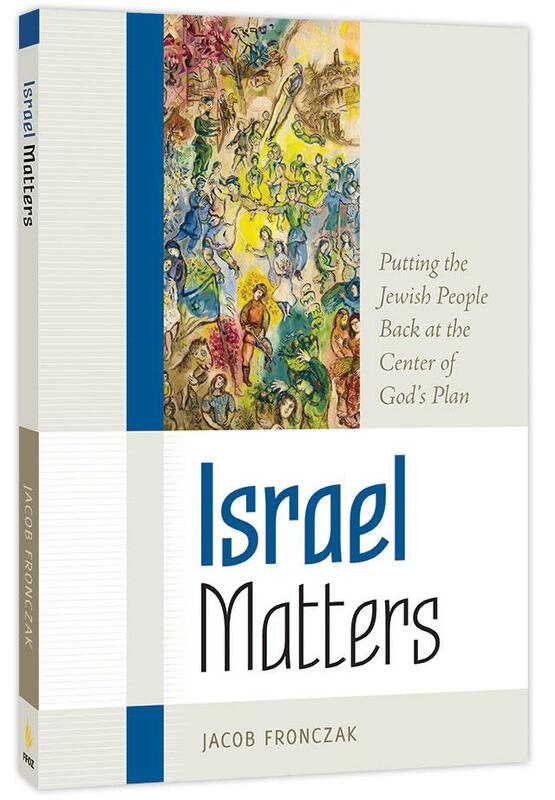 In Israel Matters, Jacob Fronczak takes a theology centered on Rabbi Yeshua of Nazareth one step further—putting the Jewish people back at the center of God's plan.